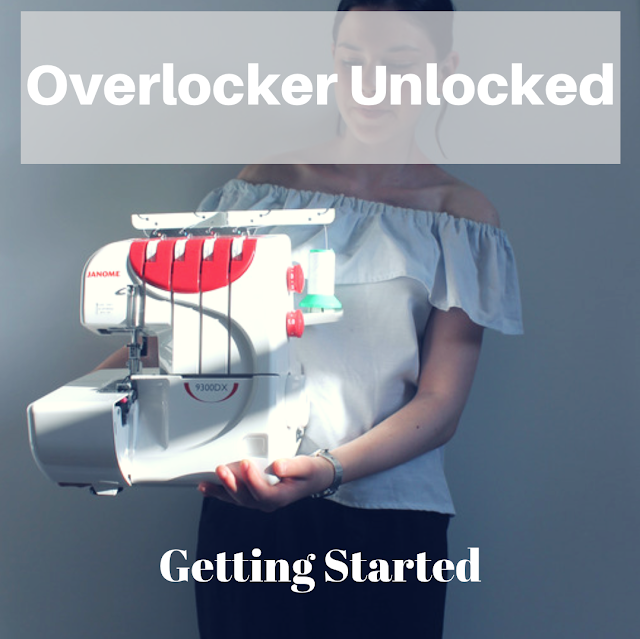 Welcome to the first part of Overlocker Unlocked! If you're interested in reading an introduction to the series and finding out what it's all about, you can find that all here. So: you've bought/borrowed/been given an overlocker. Now what? The first thing to do is get it out of the box. This might seem like a pretty obvious step, but so many people seem lost at where to even start with an overlocker and getting it out of the box is a pretty good first step. The sheer number of threads is definitely what scares me the most with my overlocker, and its something that is quite different to regular sewing machines. Congratulations! You got the machine out of the box. The first thing I did after this was to give it a go. 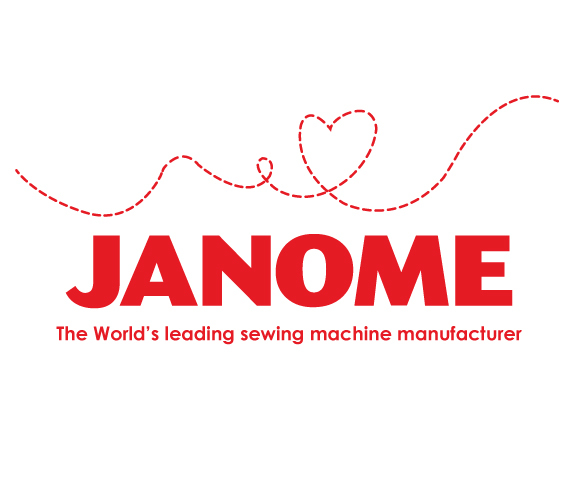 Before you can start sewing you'll need to make sure that the machine is threaded. My overlocker came fully threaded and I think that a lot do, so I'm not going to cover threading the overlocker unitl my next post. 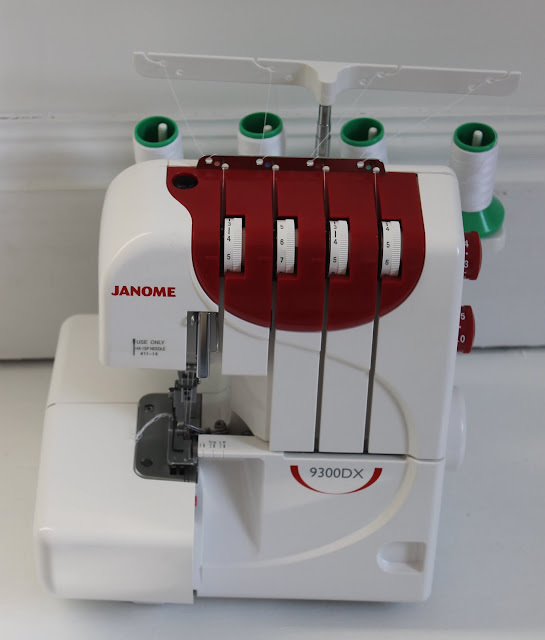 However, there are quite a few videos that you can find online which might be beneficial if you do need to thread you overlocker upon receiving it. As I said, my overlocker was already threaded so I was able to give it a go immediately. An incredibly exciting few minutes then passed as I tested overlocking for the first time. I would reccomend using a fabric scrap to test it out at first. I was pleasantly surprised at how easy it was once I started. I think that the main difference is that you can't back-tack with the machine and have to pull the fabric you're sewing away from the overlocker while still pushing the pedal once you've finished that particular seam. The overlocker will, in effect, continue overlocking but not on the fabric, just to connect all of the threads together. Setting the tension is probably going to be the next thing that you'll need to do. It took me quite a while to get this right but for me I found that quite a high tension (6/7) was necessary when sewing jersey seams together while a medium tension (4/5) works well for finishing seams on woven fabrics. Take your time testing out the differnt tensions with different types of fabric as each machine will require the tension to be set differently. Finally, a word of caution: that blade is real! It also really confused me at first as I couldn't work out which part of the mechanism was actually doing the cutting. The blade is in front of the the needle (rather than beside it) which is something to remember. You can see in this photo that it's the part just in front of the foot. As I said, it's very sharp! That's a scary bit of kit you have there! This looks like a great series! I absolutely ADORE my overlocker! Seriously, it was the BEST gift I ever got, and has taken my sewing to another level, as well as allowed me to finish garments quicker and cleaner. Congratulations! A seger is a so fantastic machine!